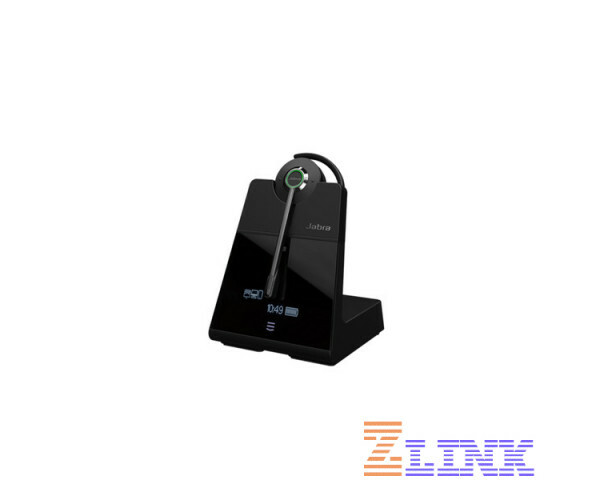 The Jabra Engage 75 Stereo Headset (9559-583-125) is a professional wireless headset with advanced noise cancellation, all day talk time and the added bonus of an integrated busy light. The Jabra Engage meets Skype for Business Open Office requirements. The Jabra Engage Series provides the ultimate wireless headset experience with quality audio up to 150 meters / 490 feet from the DECT base. The Engage Series surpasses any existing wireless headsets density requirements allowing for up to 3x the number of wireless users in an office space. Previously, if large numbers of wireless headsets were used within a limited area, users could experience less-than-optimal audio quality due to density (capacity) issues. With Engage you can connect 3x as many users, without impacting the call experience. Why Pay $ for the Jabra Engage 75 Stereo Headset (9559-583-125)? Intuitive controls on the headset.